A semi-truck pulls up and we then pull the tables out of the truck to create a perimeter. The truck is loaded with food and essentials. 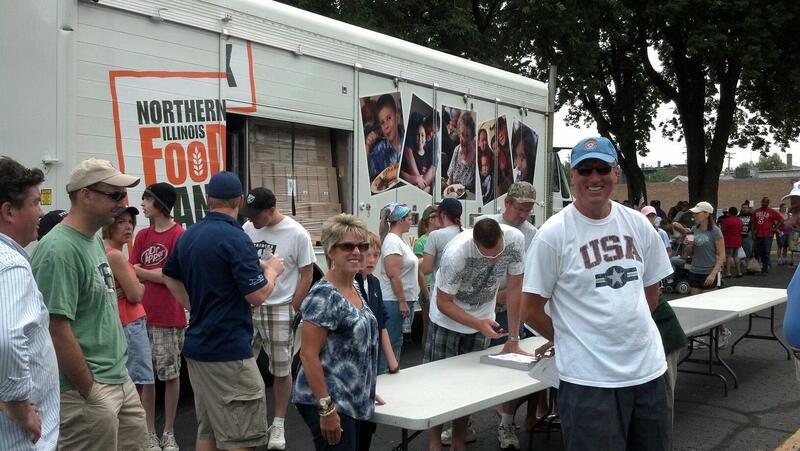 We allocate the items based on the number of people in line and we pass out the food and supplies to the people. There is no cost to volunteer. We are simply looking for about 30-35 people to volunteer about 2.5 hours of their time. The location is the same as the soup kitchen grill out events, which is the parking lot of Emmanuel Lutheran Church, 320 S. 5th street next to the White House which is the Soup Kitchen. Spouses, guests, and teenagers are welcome. It’s a great opportunity to put things into perspective. Last year we gave out 9,000 lbs. of food and assisted 471 families!